After ﬁnishing production on the last of the Harry Potter ﬁlms, “Harry Potter and the Deathly Hallows – Part 2”, Warner Bros were left with a treasure trove of props, set items and costumes from one of the most iconic franchises in the history of British cinema. In November 2010, Warner Bros. announced plans to invest more than £100m into the site and as part of this redevelopment, created two new soundstages to house a permanent public exhibition; The Warner Bros. Studio Tour London - The Making of Harry Potter. 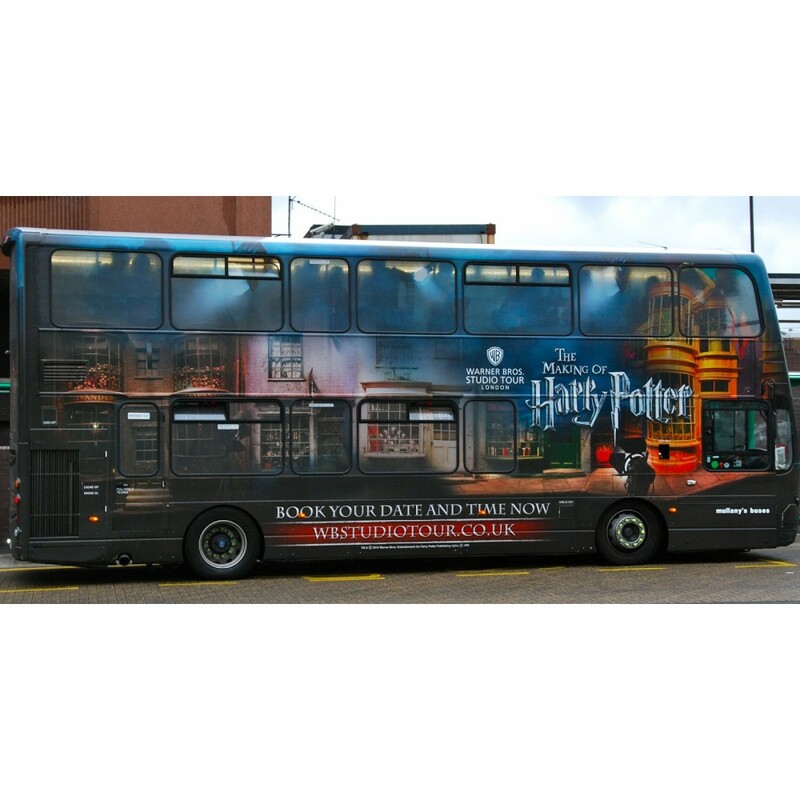 Up to 6,000 visitors a day visit the studios and a shuttle bus, operated by Mullany’s Buses, runs from Watford Junction station to the Studio Tour, with a journey time of around 15 minutes. 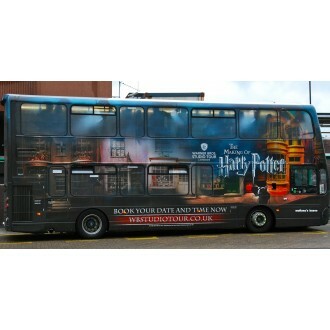 This model, BD12 TFX, with its distinctive Harry Potter Studio Tour graphic wrap, represents one of two Wright Eclipse Gemini 2 buses that were operated on the route by Mullany’s. 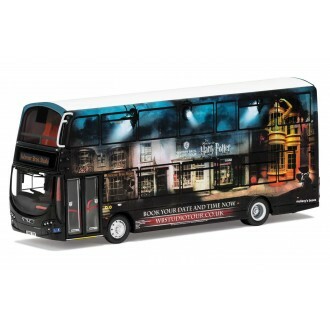 Corgi Original Omnibus Company are detailed die-cast model buses and coaches. Each model comes with a certificate of authenticity detailing the history of the particular vehicle and operator. Scaled at 1:76 they are ideal for both enthusiasts and ‘OO’ gauge railways. This model is aprox 13cm long. This superb model bus is incredibly detailed and is attached to a plastic display plinth in a clear plastic display case. It is complete with a cutaway card outer box.